Riccardo Iovino, Directeur Général d'EdiliziAcrobatica ouvre les marchés financiers à Paris. 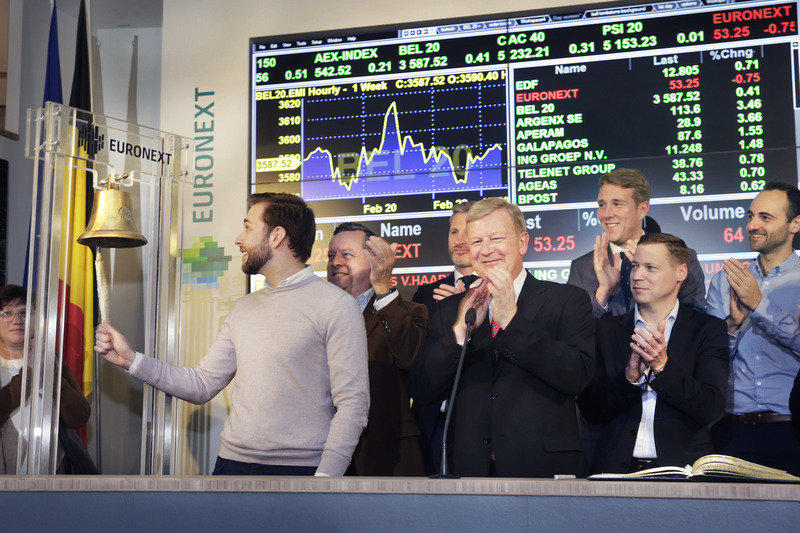 EdiliziAcrobatica s'introduit sur Euronext Growth. "EdiliziAcrobatica est spécialisé dans les prestations de travaux sur cordes. Le groupe propose des prestations de carottage, de renforts de structure, de nettoyage et de rénovation des façades, des murs, des vitres et des toitures, de substitution des gouttières et des pluviales, d’installation et de nettoyage de cheminées, de mise en place de protection anti-pigeons et d’interventions partielles de terrasses et de corniches. A fin 2017, le groupe dispose d’un réseau de 49 agences (dont 22 franchisées) implantées en Italie. 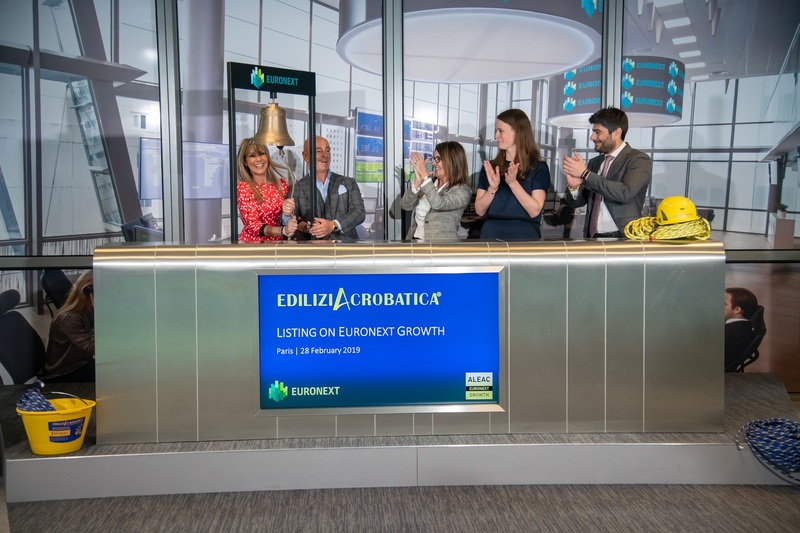 EdiliziAcrobatica est la plus grande entreprise italienne dans son secteur et l'une des plus importantes d'Europe." 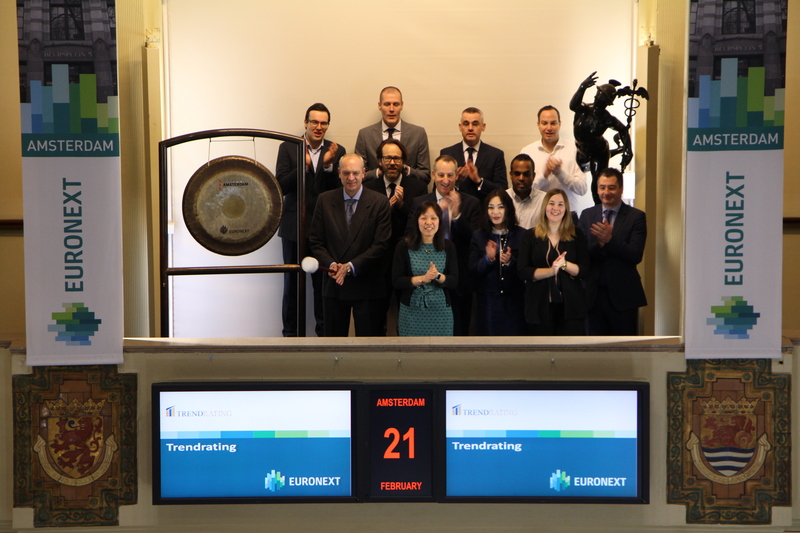 State Street celebrates the listing of the MSCI World UCITS ETF (Ticker: SWRD) on Euronext Amsterdam. 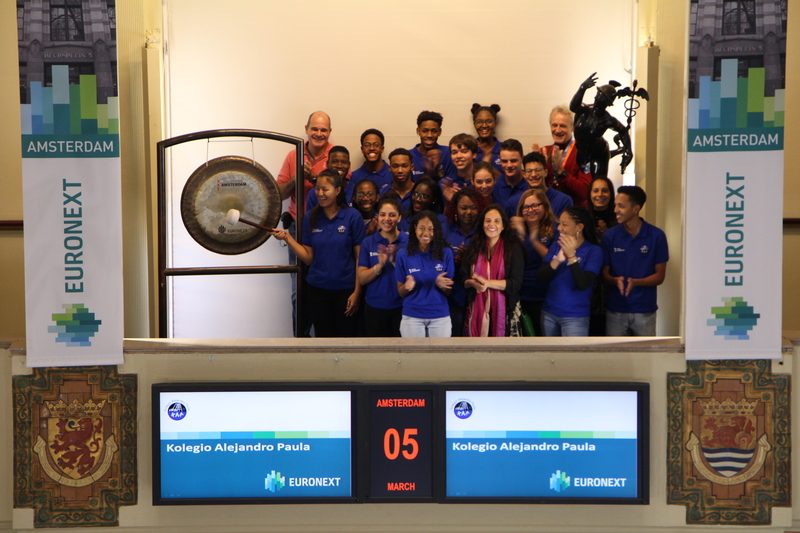 To celebrate Noussair Aatil sounds the gong. 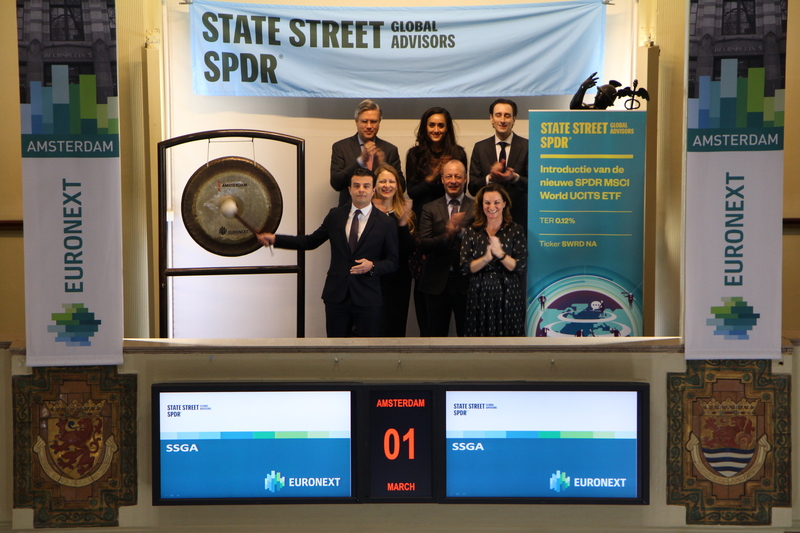 The new SPDR MSCI World UCITS ETF offers investors access to a broad basket of over 1,600 stocks across 23 advanced economies. 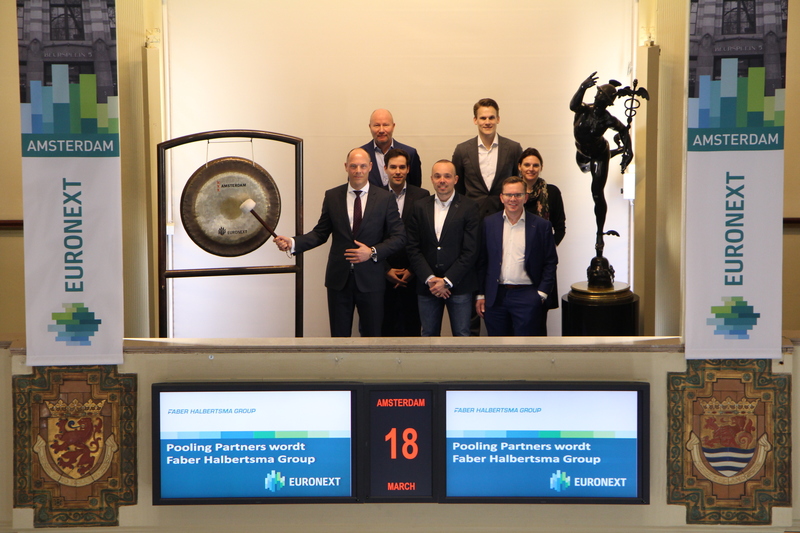 This represents roughly 85 per cent of the float-adjusted market capitalisation of developed equity markets. 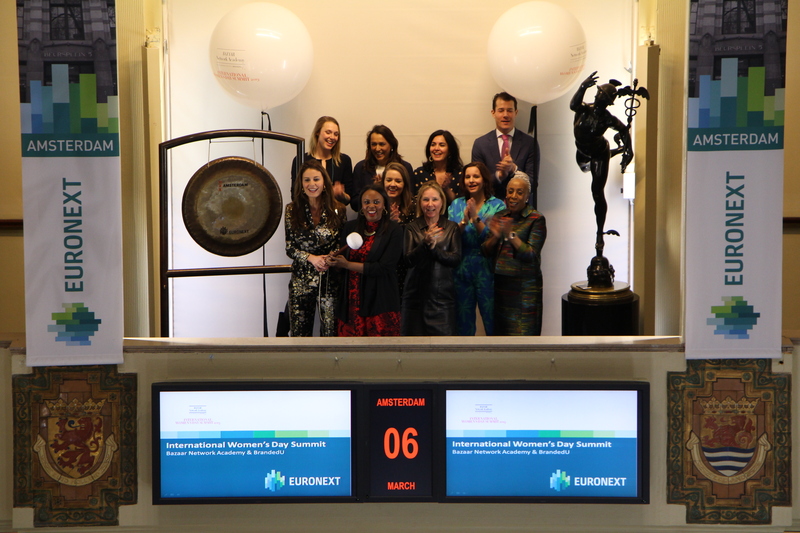 Qurein Biewenga, CFO and co-founder of Lightyear, rings the gong today to celebrate that his company Lightyear who develops electric solar cars has received both the ‘Challenging Concepts’ and the special 'Audience Award'. "With the development of Lightyear One, Lightyear has raised their ambitions high. With the development of a car which is three times more efficient than the best EV's in the market, we might be looking at the new Tesla." Next to three winners that were chosen by the jury, the organization handed out an Audience Award for the first time. Lightyear was fortunate to win this award as well. Lightyear is developing an electric family car with integrated solar cells. 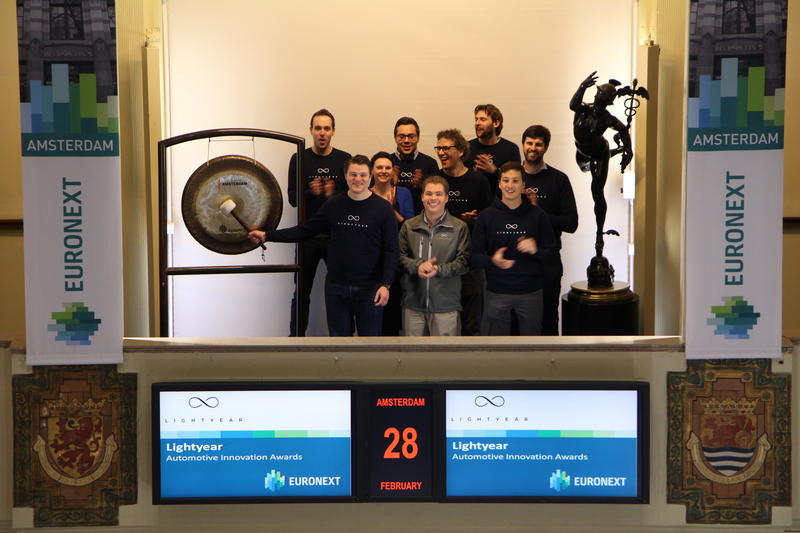 Lightyear is a fast-growing company with more than 100 employees, consisting of a mix of young top talent from the winning teams of the World Solar Challenge and experience from the automotive industry. For the first time, a gala dinner of the Netherland America Foundation will be held in The Netherlands. In honor of this Merijn Boender, chairman, sounds the gong. Almost 100 years ago the Netherland America Foundation (NAF) was established to strengthen the friendship ties between the Netherlands and the USA. The NAF’s focus is mainly on the cultural, scientific and economic sector. Every year a large number of Dutch and American students receive a fellowship to study in each other's countries. On April 4th a charity Gala will be organized in the Pieterskerk in Leiden in the presence of patroness of the NAF; Princess Margriet. The well-known comedian Greg Shapiro will host the evening. Heineken is listed on the stock market since 1939. 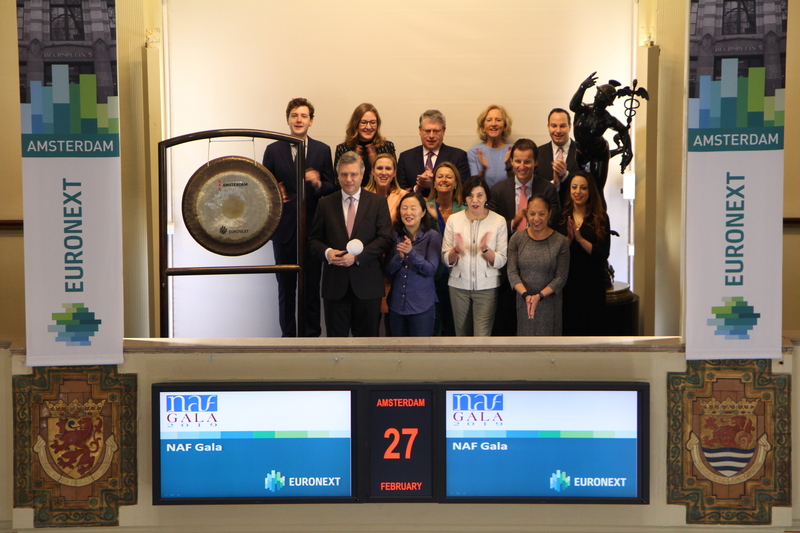 To celebrate this anniversary Federico Castillo, Head of Investor Relations, will sound the gong. Heineken is the world's most international brewer. It is the leading developer and marketer of premium beer and cider brands. In 2018 the company brewed 249.5 million hectolitre of beer. It consists of 170 breweries, malthouses, and cider plants in over 70 countries. Led by the Heineken® brand, the Group has a portfolio of more than 300 international, regional, local and specialty beers and ciders. Through "Brewing a Better World", sustainability is embedded in the business. 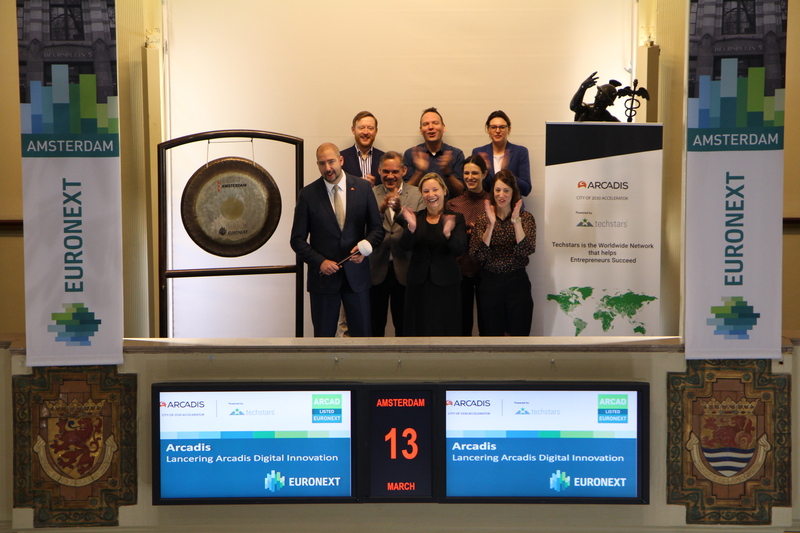 Arcure est spécialisé dans le développement de capteurs intelligents destinés au renforcement de l’autonomie des engins sur les sites industriels. La société propose des produits de détection/classification et de localisation des obstacles et des piétons, des dispositifs de contrôle d’accès et de localisation tout en un, etc. Le CA par source de revenus se ventile entre ventes de produits (88,2%) et de services (11,8%). La répartition géographique du CA est la suivante : France (39,9%), Europe (22%), Asie (31,6%), Amérique du Nord (3,2%) et autres (3,3%). 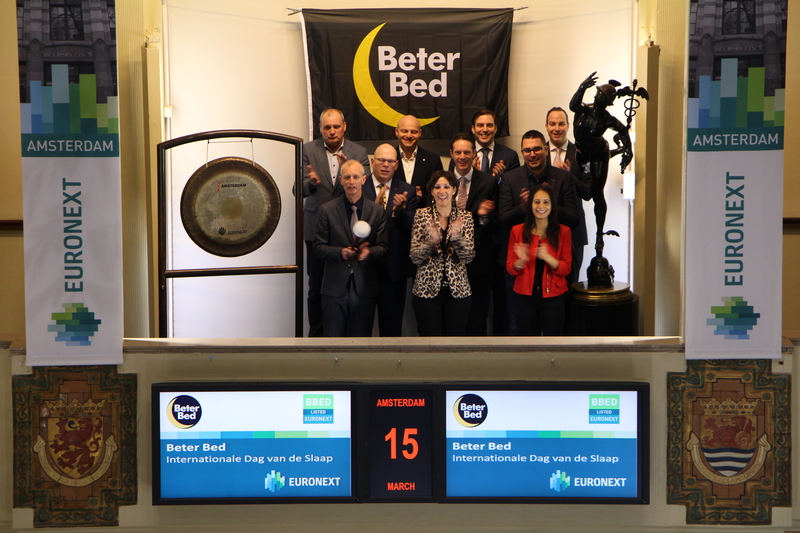 Jordy Gladines, winner of the Rallye Boursier - Beursrally co-organized by L’Echo & De Tijd, rang the Bell in Brussels to close the financial markets. Frederik Delaplace, CEO of Mediafin, took this occasion to address his congratulations to the award winners. 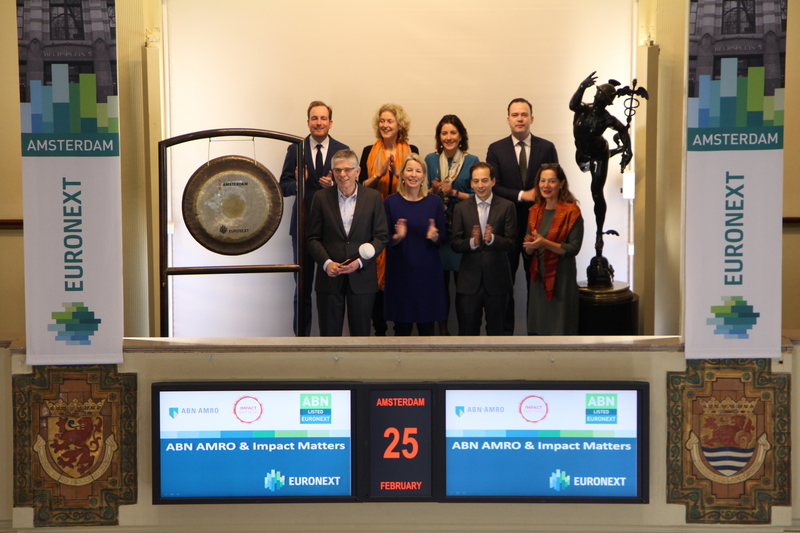 Wim Saris (ABN AMRO) opens the stock exchange on behalf of Impact Matters and ABN AMRO to call for attention for more valuable collaborations between businesses and non-profit organisations. The concept of Impact Matters is to use business knowledge to help organizations achieve their mission. 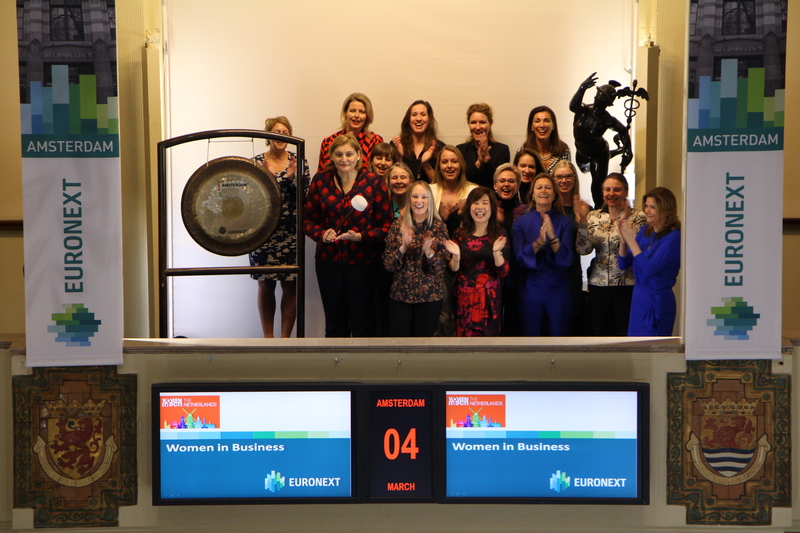 Impact Matters was founded in 2016 by Henriette van Eeghen and connects the demand of charities with the knowledge supply of corporate organisations. The organisation has many contacts in the non-profit sector and seeks the best fitting match for their requests in its contacts in the corporate world. 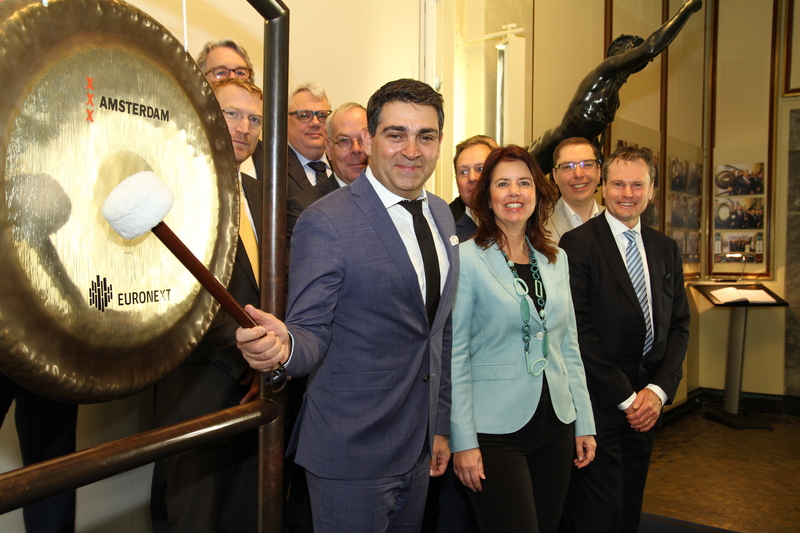 ABN AMRO is affiliated as a partner company. 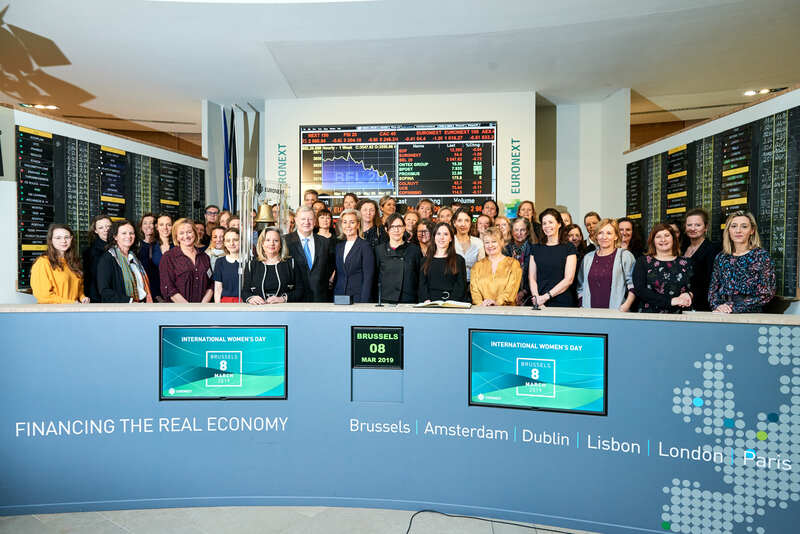 Employees of ABN AMRO have the opportunity to use their expertise and talent for projects of Impact Matters. 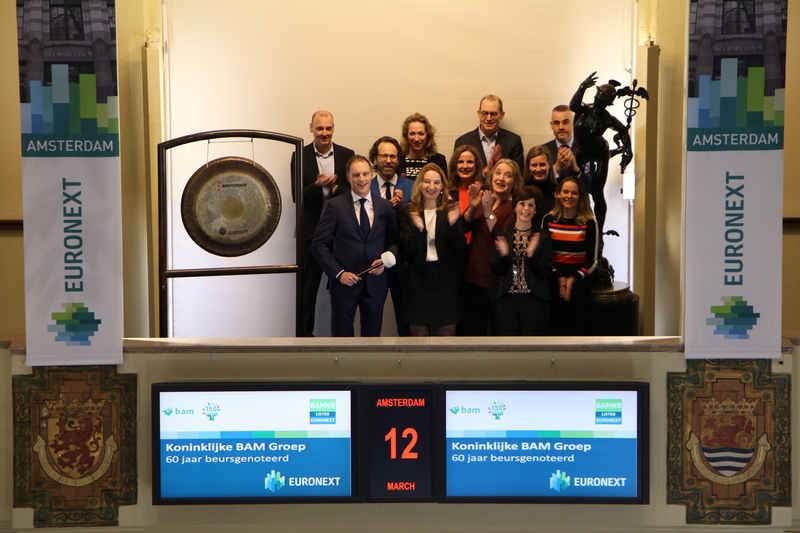 ABN AMRO Group is one of the leading Dutch banking groups and listed on the Amsterdam Stock Exchange as ABN. With the opening of the exhibition Rembrandt and the Mauritshuis by Her Royal Highness Princess Beatrix the year-long celebration Rembrandt and the Golden Age 2019 officially started. Throughout the year, exhibitions and activities commemorating Rembrandt’s death 350 years ago in Amsterdam. Five museums are presenting special exhibitions about the old master’s work: the Fries Museum, Mauritshuis, Rembrandt House Museum, Rijksmuseum and Museum De Lakenhal. 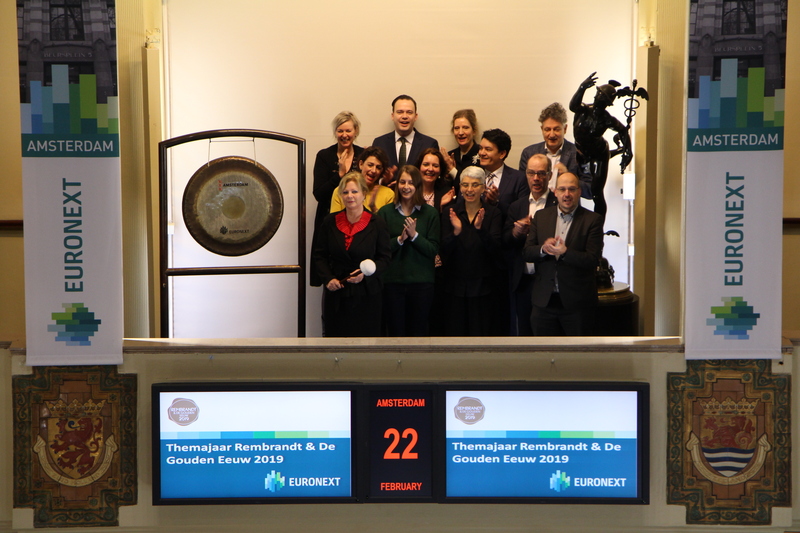 Lidewij de Koekkoek, director of Museum Het Rembrandthuis is opening the stock exchange in honor to this year-long celebration. Museum Het Rembrandthuis contains the house and workshop where Rembrandt lived, painted and gave lessons to his pupils for almost 20 years. 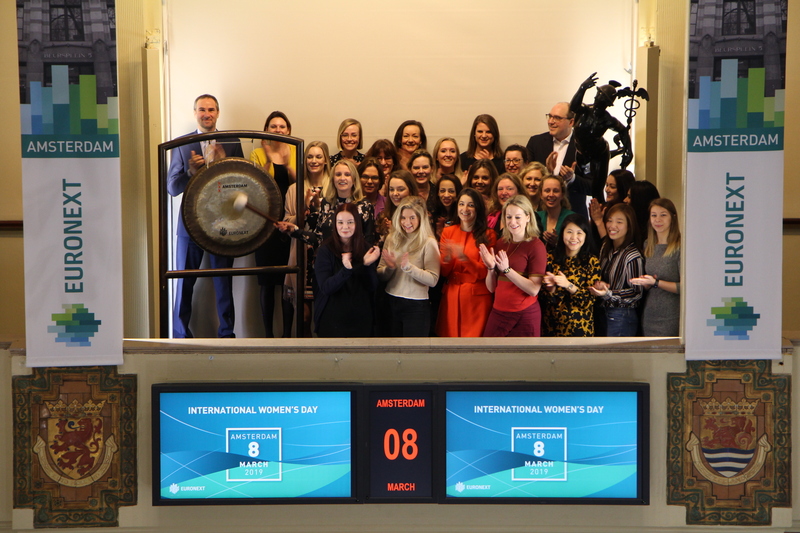 To celebrate the launch of Momentum Risk Monitor , Rocco Pellegrinelli, Founder & CEO, will sound the gong. Momentum Risk Monitor is Euronext’s second alternative data product developed in partnership with Trendrating. Trendrating is a company based in Switzerland specialising in momentum trend capture using machine learning techniques. Trendrating captures a shifts in momentum exposure faster and more smartly with its their robust momentum rating tools based on a self-adjusting algo model. 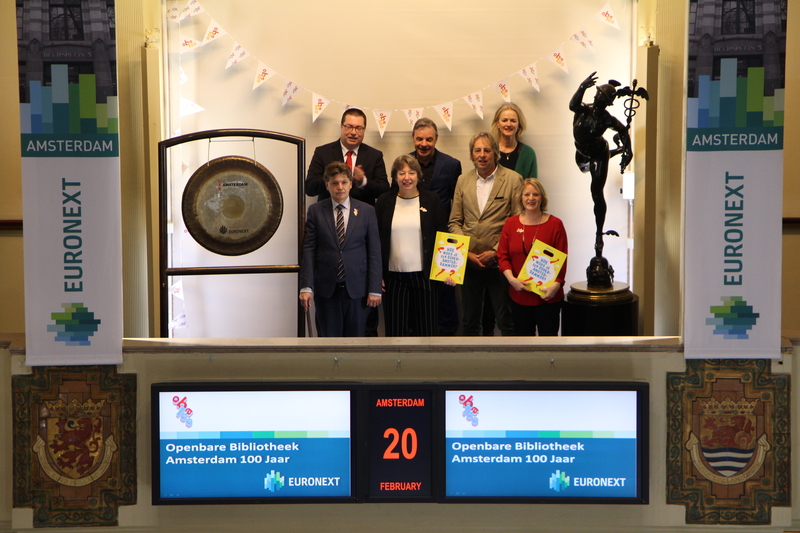 De public library of Amsterdam (OBA) celebrates its 100th anniversary. In honour of this, the OBA opens the stock exchange. Director Martin Berendse: “The OBA is a lot more than just books, the library wants to show that during the celebrations. There are special activities in the InburgerBar for people who would like to improve their skills on language and digital knowledge. For children there is a reading bed that visits all the 27 locations and the library will organize special plays. The OBA has published a special jubilee book called “Amsterdammers and their library”. Afin de célébrer le premier jour de cotation d’Audiovalley à la Bourse de Bruxelles, Alexandre Saboundjian, CEO d’Audiovalley, a sonné la cloche marquant l’ouverture des marchés financiers.